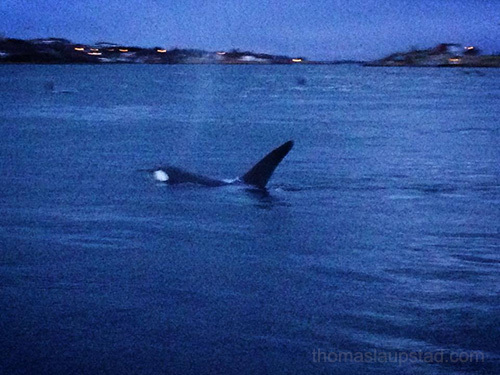 Here is a video of a pack (or packs) of Killer whales (Orcinus orca) hunting fish extremely close to the shore at Senja in Northern Norway. We saw 25 whales or more in this small cove, and they were all hunting herring. The next day we even saw a few Killer whales that almost stranded on a sandy beach, but they rolled back out into the sea. We even saw some other larger species of whales further out at the sea, but due to low light it was not possible to make out the species of whale. 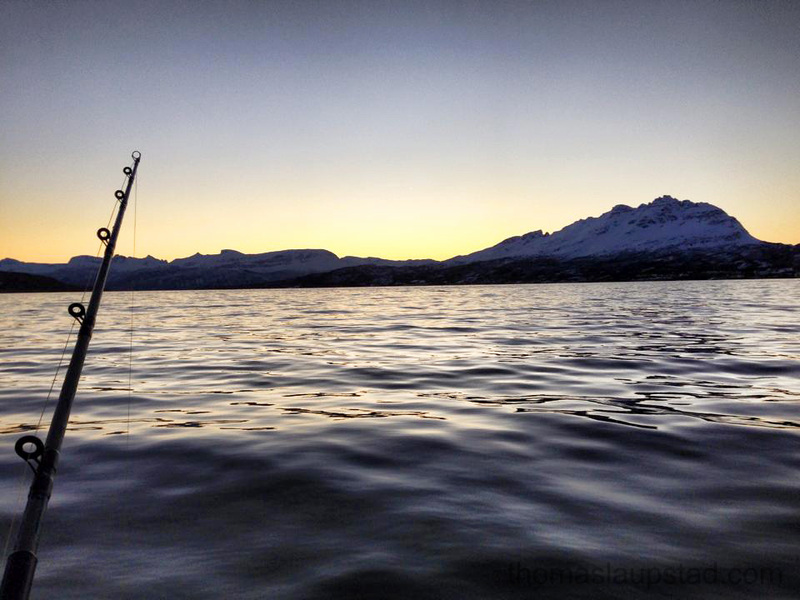 There has been lots of observations of whales hunting herring in Northern Norway at places such as Senja, Andenes and islands by TromsÃ¸. If you get the chance you would definitely go on a whale safari to watch these magnificent creatures. 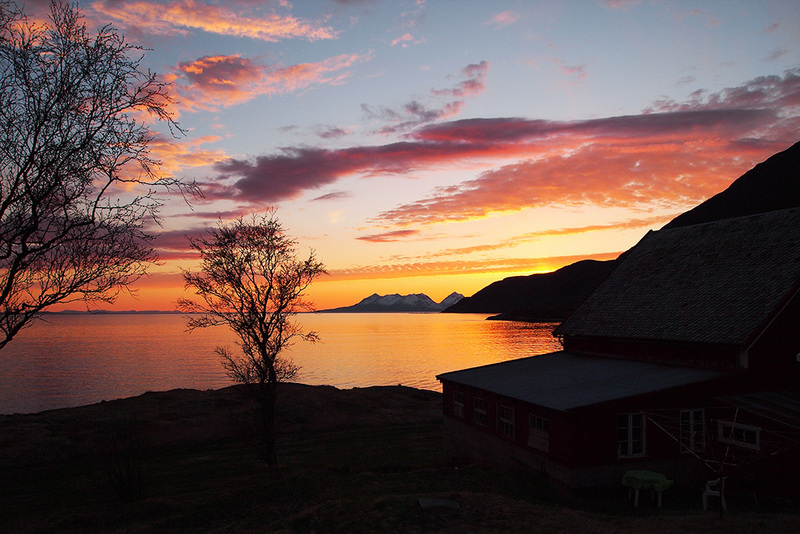 Please see my other pictures of Senja here and follow Photos from Northern Norway on Facebook. Taken with Apple iPhone 5 camera 25th December 2013. Taken with Apple iPhone 5 camera 19th December 2013. Click image for larger view. 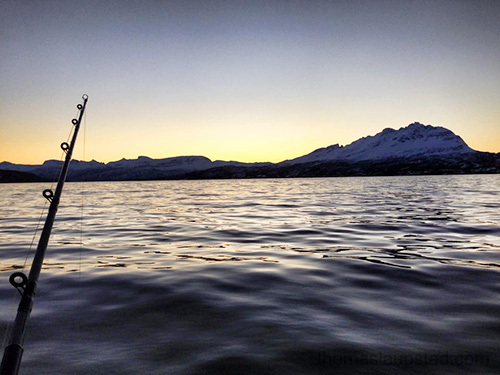 For the first time I have gone out fishing on the sea during the polar night period in Northern Norway. And what an experience that is. Even though we got no sunlight the light can be absolutely beautiful with different colors everywhere as you can see in these photos. Above you can see how the sky looks in the middle of the day, and below you can see when the sky starts to get darker. 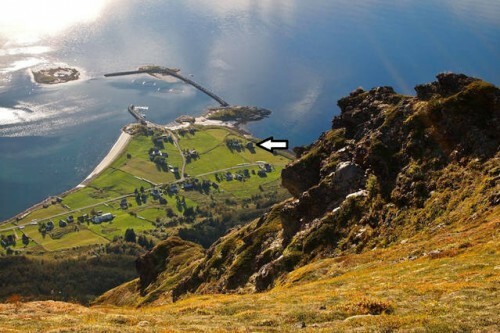 The mountain in the picture is called Drangen and is located on the island Rolla. It is a very picturesque mountain. But the main reason I went out on the sea was to fish. 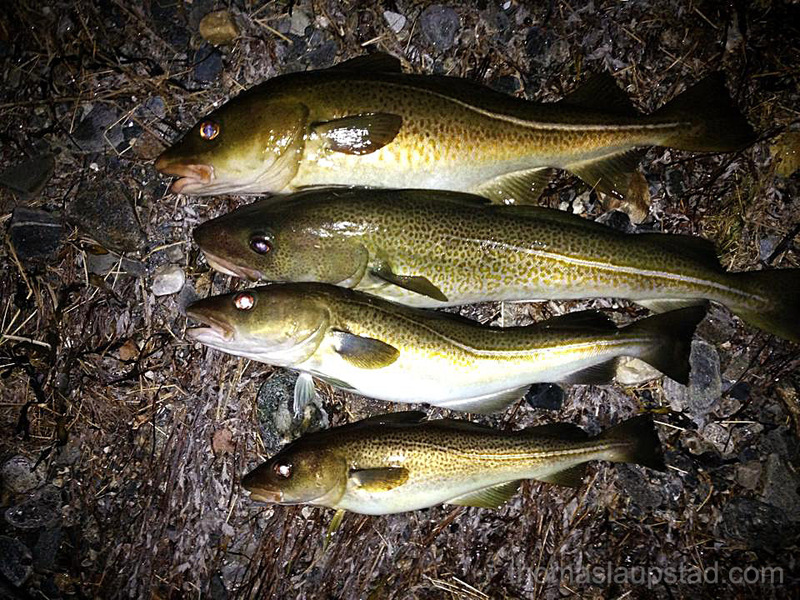 I was able to catch some nice Christmas cod and even had an Atlantic halibut circling a small cod on my hook. The halibut circled for about 10 rounds before snatching the cod off my hook and then it went back into the cold, dark deep. It was a pity I was not able to catch it, but what an amazing experience! Like this photo? 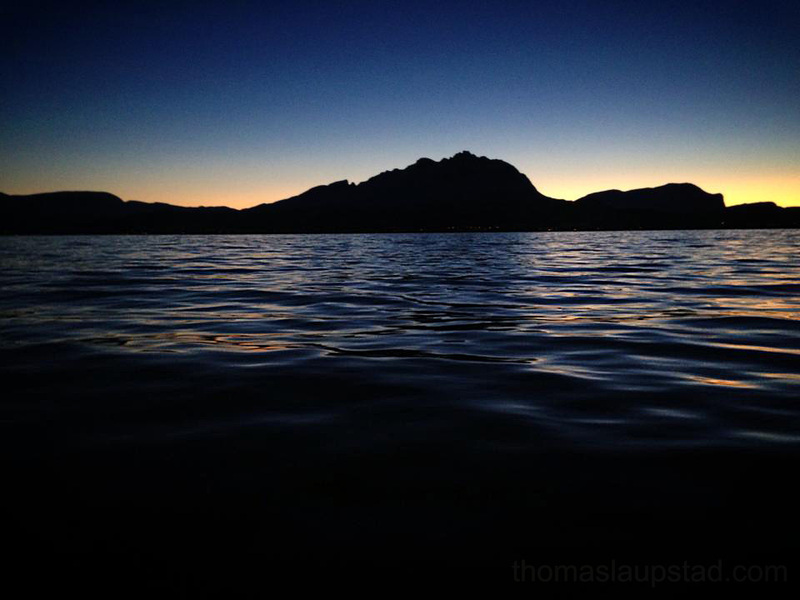 Please follow Photos from Northern Norway on Facebook. Taken with Apple iPhone 5 camera 26th September 2013. Click image for larger view. Today when I was out fishing I got a visit from a couple of white-tailed eagles (Haliaeetus albicilla). I had thrown a small fish overboard that they really wanted to catch. In the picture above you can see the majestic bird trying to get this fish. I really wish I had brought a proper camera with me, but the photo from the phone actually turned out pretty good. The white-tailed eagle is very common in Northern Norway, and we have the biggest eagle population in the world along the coast of Northern Norway. The bird is very big (for comparison see the seagull in upper left corner of the picture) with up to 2.45 m wingspan. The eagle feed on fish, but it can also catch other birds and mammals. 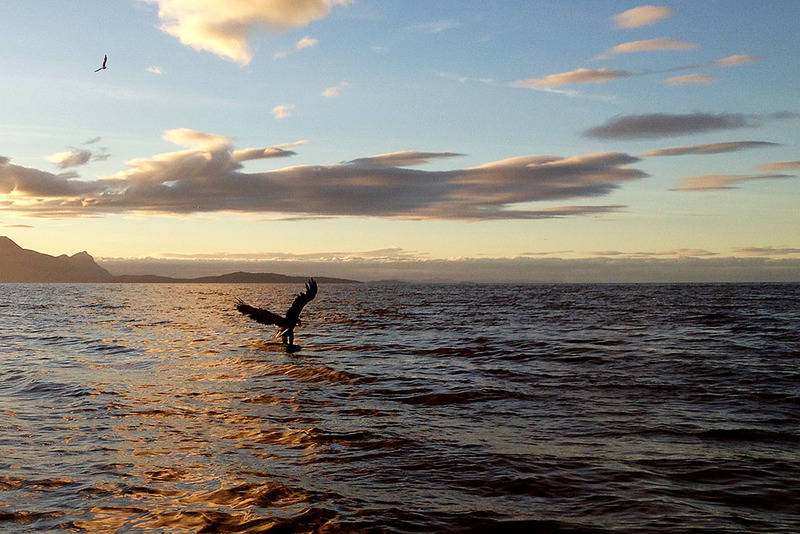 Whenever all seagulls take flight at once, you can be sure there is a white-tailed eagle around. You can see other bird photos here. Taken with Olympus EPL-1 digital camera September 19th May 2013. Click image for larger view. I went for a spring trip to Northern Norway this year, and oh my did it pay off. The weather has been fantastic with temperatures well above 20 degree Celsius, something that is unusual this early in the year. In the picture above I have photographed the view from my bedroom at midnight on the 19th of May. 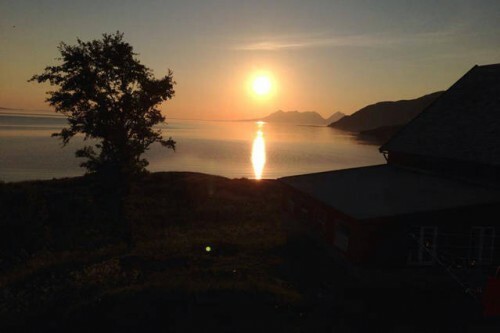 It is about this time we get midnight sun, but the sun went behind the mountains. 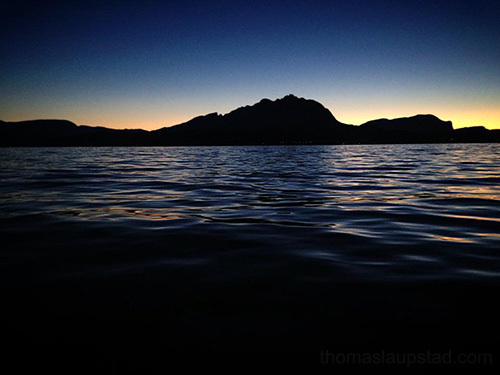 Nevertheless, the view was spectacular and making it hard to go to sleep. 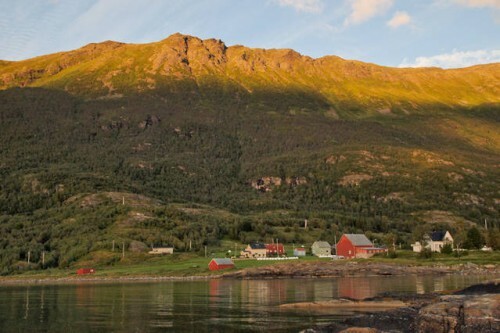 The mountains that you see far in the horizon is the second largest island in Norway, Senja. Please click on the photo to view it in larger size. Spring is such a wonderful time in the north with all the birds coming back, flowers are popping up everywhere and the boat is finally back on the water. 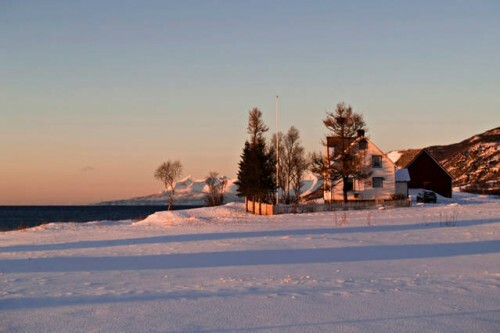 I think I need to take a week off every year to visit the old house on AndÃ¸rja.